Do roll-on/roll-off (RORO) ships take passengers and their car? 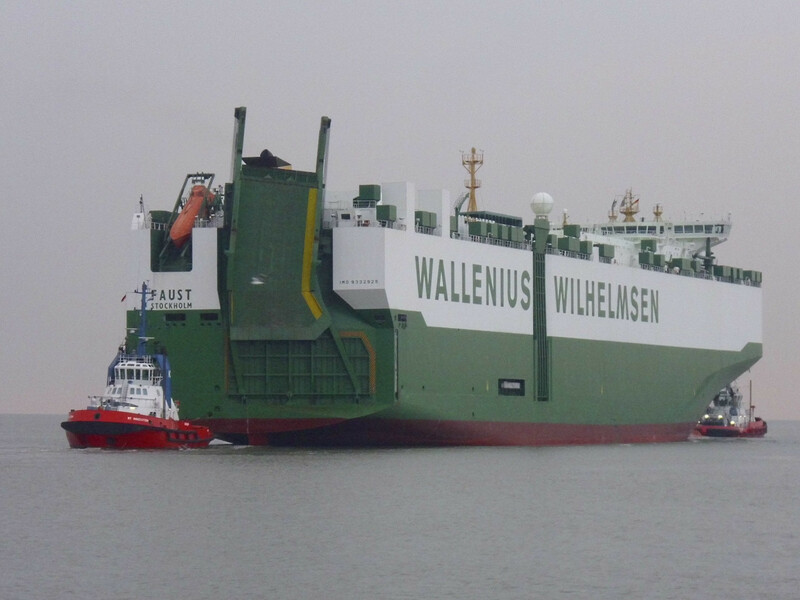 I often see these massive RORO ships bringing new cars. I assume they are not always fully booked. Are there companies offering empty spots on RORO ships? To me, it seems like a great opportunity to start a road trip. I am not talking about RORO ferries, but more of the long distance RORO ship, as portrayed in this documentary on YouTube. Sometimes extensive browsing remains rewarding, at least one company offers roro service for passengers and their cars. It is even from my home town to Rio. Brilliant! I made in September 2016 a trip on a ro-ro from Grimaldi Lines. My car was on the ro-ro and we could go in the different harbours we stopped, as far there was enough time. We started from Antwerp: to Portbury, Setúbal, Valencia, Fos, Livorno, Civitavecchia and Salerno then took the car to Paris. The ro-ro was transporting new cars or trucks or machines for construction. Beside regular car ferries carrying hundreds of private cars, there are also RoRo ferries used primarily for freight on lorries that take a few. Grimaldi Lines, mentioned in earlier answers, is one of them and they definitely take private passengers with their cars on at least some of their lines. But those are not exactly the same as the large RoRo ships used for the transport of new cars mentioned in the question. It's also possible to travel on one of these… but not with your car! Do passengers and crew on cargo ships require visas? Is it safe and legal to sleep in car -*not* RV- in Canada (Alberta and BC)?